It’s been a long time since I’ve pushed a release of the Mantis connector for Eclipse. I’m happy to say that I’ve gathered some fixes and a new release is now out. 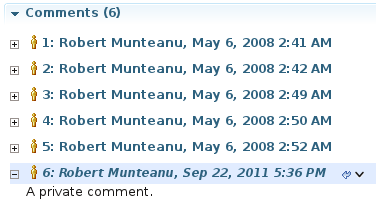 This was mostly prompted by the MantisBT 2.0 release, which needed a small change in the plug-in to work as intended. Since I am no longer able to use a code signing certificate the plug-ins are not signed anymore. But that will not impact your experience besides this dialog. As always, upgrade, have fun, and let me know if any issues appear via the user’s forum or by reporting bugs. The major focus of this release is compatibility with the just-released Eclipse Juno , and implicitly Mylyn 3.8 . The query page has been streamlined to have a look which is more consistent with the other Mylyn connectors by using a horizontal layout which scales easier to large numbers of projects or filters. The support for tags and time tracking has been improved . Also the connector is easier to run in non-OSGi environments. This release features multi-project queries, support for deleting task attachments and support for textarea custom fields. Task attachments may now be deleted from the attachment’s context menu. 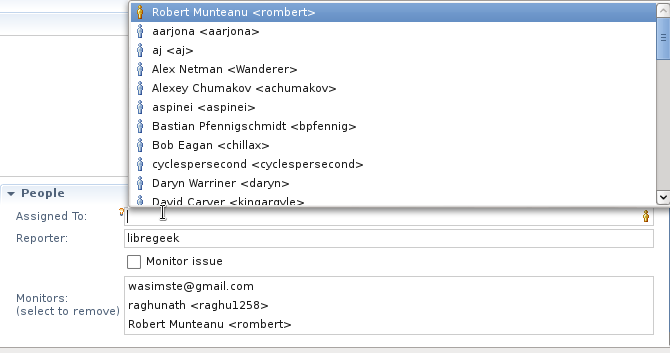 The development branch of MantisBT supports textarea custom fields. 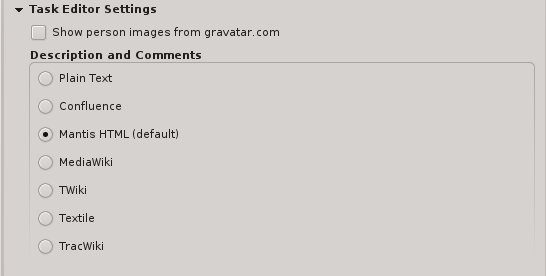 The plugin also supports them for the development branch. As a direct consequence, users of TaskTop Dev can add a custom textarea field named task_relations to enable the full functionality of editing task associations. When the attributes section is collapsed we now display a ‘project/category’ text hint. Previously only the project was displayed. Fixed duplication of available queries which would sometimes occur in the query page. For comments, bugs and support requests, our bug tracker and forums await you. 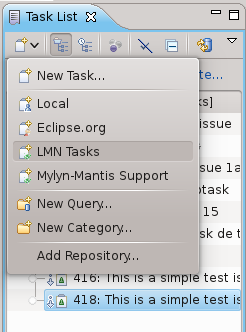 Building on support from Mylyn 3.6, private comments are now marked as such in the task editor. 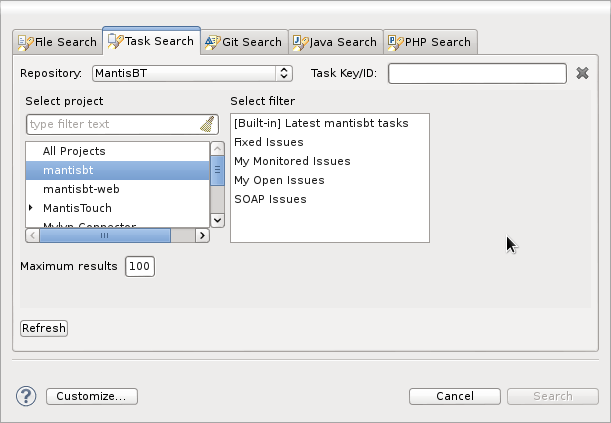 We now enable deletion of task from the MantisBT repository, not only from the local task list. When creating a new task, selecting a query or a task in the task list before creation short-circuits the project selection page, as the project is inferred from the current selection. If no selection is available, the project selection page appears as usual. 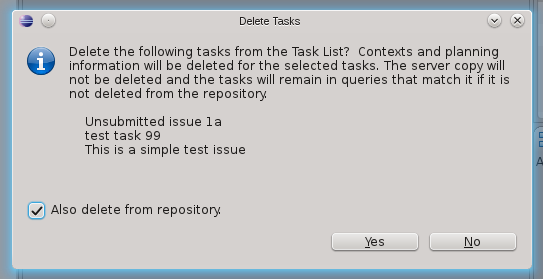 This can be combined with having the task selected and creating a task for a specific repository to bypass the new task wizard completely. 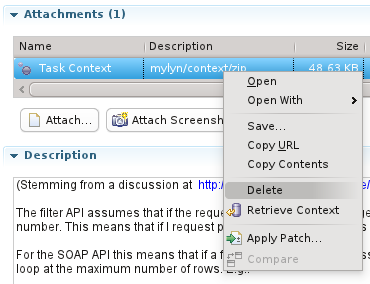 The MantisBT syntax of linking to comments using the ‘~’ prefix is now supported. The 3.4.1 release of the connector is primarily a bugfix release concerning the HTML editor. 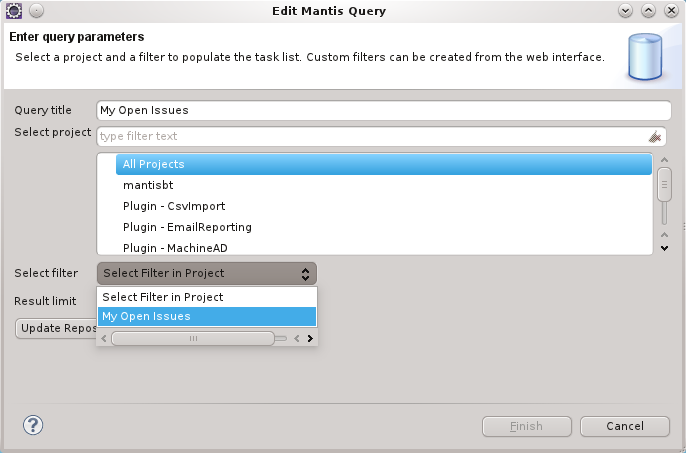 Open query in browser is now available for users of MantisBT 1.2.5 or newer. To activate it for an existing query you need to refresh the repository configuration and then reopen the query dialog. The update site did not reference the latest available Mylyn version, but we did require it. This prevented users running versions of Mylyn 3.4 or older from installing the connector. Now the installation process is verified to work for old versions as well. Editors are collapsed if there are no incoming changes. Some of these changes require a nightly build of Mylyn Docs, which should be available as a released version in the 22nd of June, according to the current Mylyn plan.